Dr. Masters is Professor of Surgery, University of Ottawa and he has spent his entire career as a cardiac surgeon at the Ottawa Heart Institute. During this time he has been Residency Program Director and Surgical Director of the Heart Transplant and Artificial Heart Programs. Dr. Masters has served on the Premier’s Advisory Board for transplantation and on the Boards of the Trillium Gift of Life and the Canadian Cardiovascular Society. Dr. Masters has published some 120 scientific papers on various aspects of cardiac care and he is currently Director of the Long-term Surgical Follow-up initiative at the Heart Institute. Dr. Masters is a member of the UOHIAMO Management Committee and Board and is a member of Innovation Fund Provincial Oversight Committee (IFPOC). 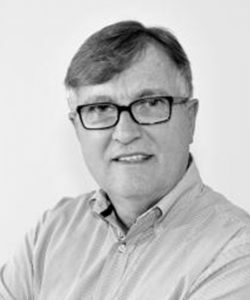 Currently Dr. Masters also works as Medical Adviser for Health Canada (Medical Devices Bureau) and for CIHI (Classifications Advisory Committee). He also provides advice as a Medical-Legal Consultant.